Looking for a vantage point? The peak is the highest point on the island that offers a bird’s-eye view of Hong Kong. 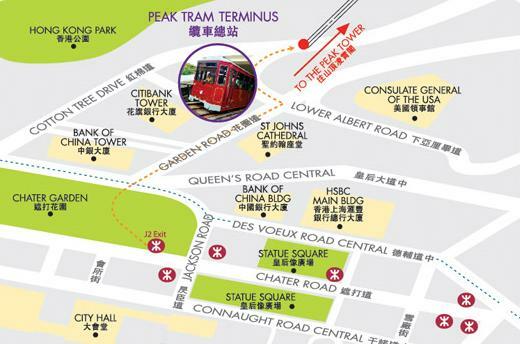 The quickest and popular option to reach the peak is by the Peak Tram, the 120-year-old funicular railway that departs from its terminus on Garden Road. The Peak Tram is one of Hong Kong’s oldest forms of transportation.The 1.4 km funicular railway is pretty steep, with the sharpest incline at 45-degrees which will transport you to the peak within 7 minutes. The Peak Tram was the brainchild of a Scottish hotel owner Alexander Findlay Smith, whose Peak Hotel opened in 1880. 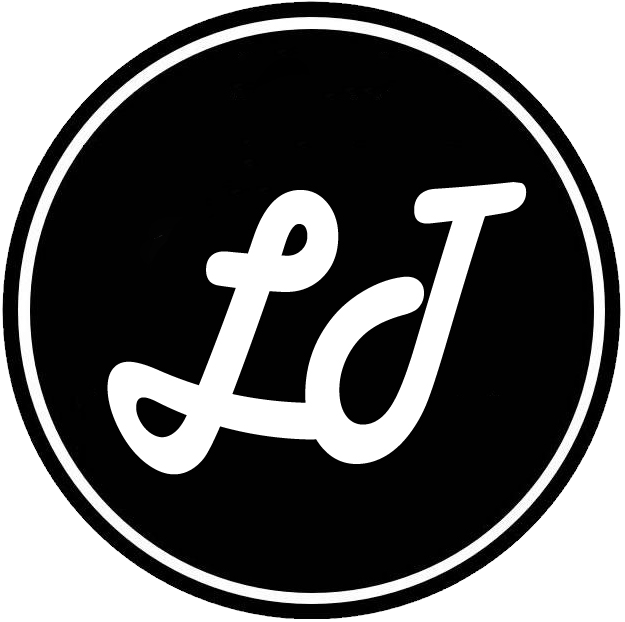 Tickets can be purchase onsite. Avoid weekends and you may want to purchase the Madame Tussaud combo tickets to get the priority queue. 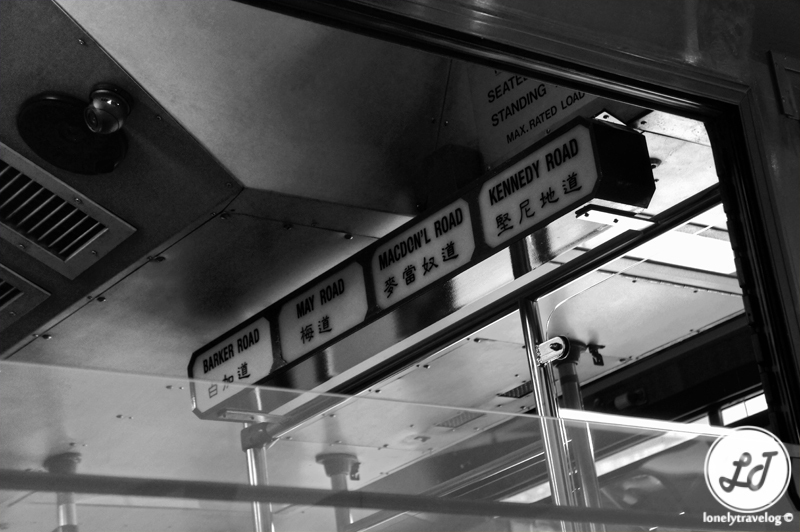 On my way up to the peak, there are intermediate stations at Kennedy Road, Macdonnell Road, May Road and Barker Road. I was told that each of these stations is equipped with a stop request system but I bet at busy times it may not be possible to board at these stations as the tram can be crowded. Believe it or not, the first generation 1888 steam-driven trams had no doors. 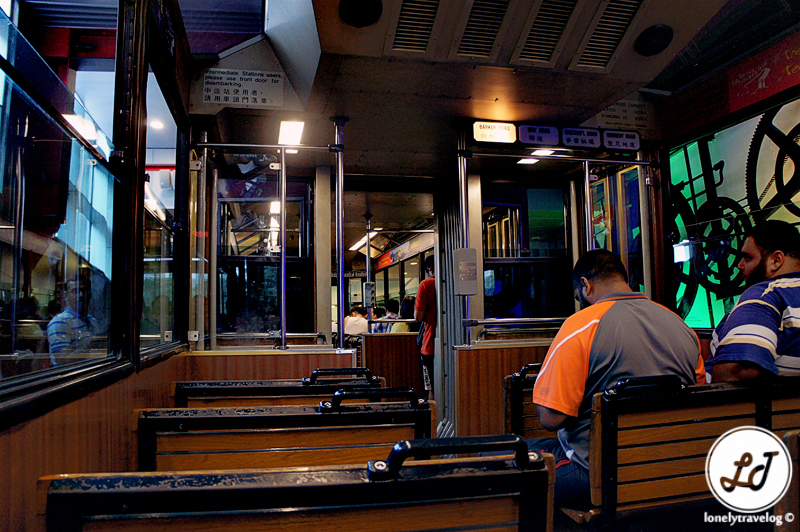 Then, tram can only carry 30 passengers at one time and were divided into three classes. Now, the electrically-powered tramcars can hold up to 120 passengers. I am glad to know that there has never been an accident involving the Peak Tram which deemed as the most safest transportation. From the peak, you are able to enjoy the scenic view of Hong Kong city. I decided to get to a higher vantage point. The Peak Tower, ‘wok-shaped roof‘ building has a viewing platform called Sky Terrace 428, standing 428m above one of the world’s most breathtaking cityscape. 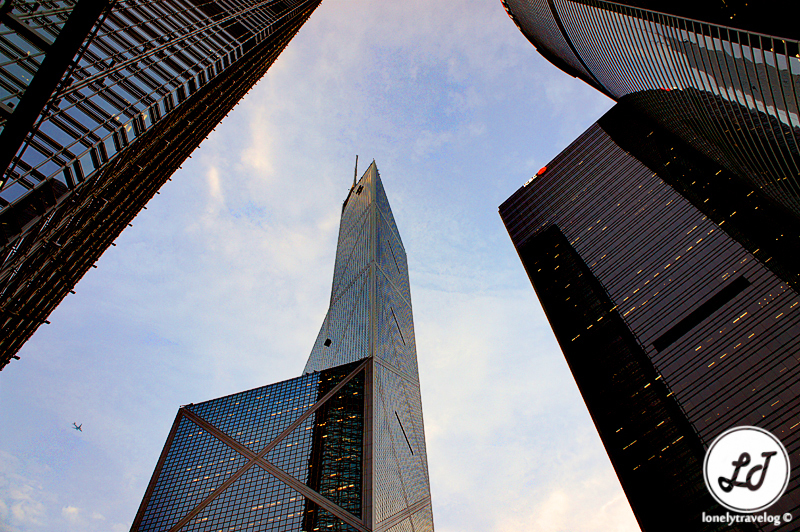 This is the highest point you can get for a stunning 360-degree panoramic view across Hong Kong. 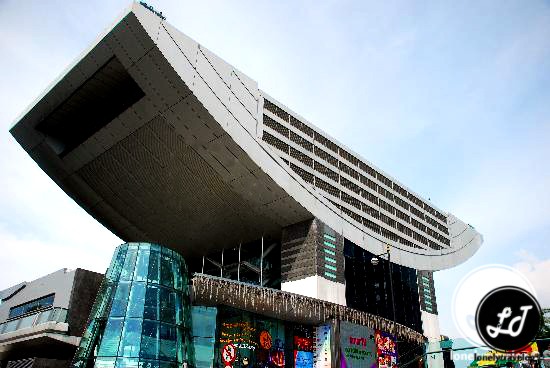 If you are looking for a free vantage point, The Peak Galleria has a observation deck too! The peak is also the home of Madame Tussauds. I had the chance to get up close and personal with over 100 incredibly life-like wax figures since I bought the all inclusive combo tickets. Hong Kong’s Madame Tussauds consist of 9 themed areas: Hong Kong Glamour, Royal Family, Historical and National Heroes, TV Studio, World Premiere, The Champions, Authentic History, Music Icons and Fantasy Kingdom. Taking the funicular to Victoria Peak is surely the most memorable moment of my Hong Kong trip.